Orchestra of Spheres send their listeners on a reflective voyage of sonic discovery on their new song 'Koudede'. 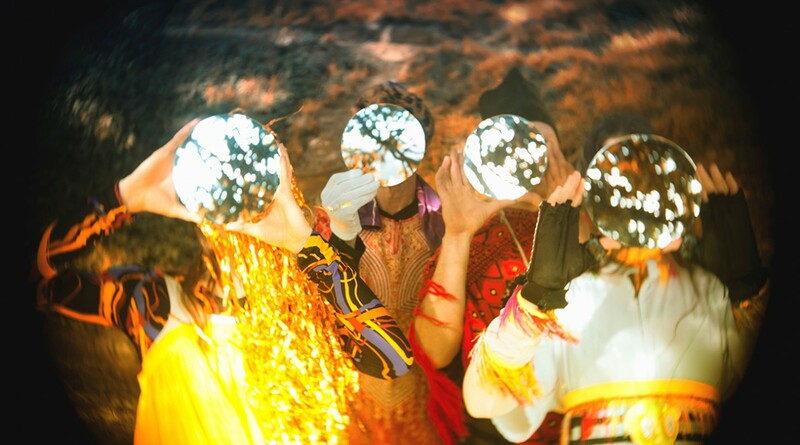 With the track, the adventurous psych pop group share their love for the Tuareg and Niger musician of the same name (who is a part of the celebrated collective Group Inerane). 'Koudede' is the lead single taken from Orchestra of Spheres' upcoming album 'Mirror', which will be released on double LP on 2 November via Fire Records. Orchestra of Spheres' performance at Le Guess Who? 2018 is curated by Shabaka Hutchings. This curated program also features o.a. Sons of Kemet XL, The Comet is Coming, Kadri Gopalnath, Paddy Steer, King Ayisoba, Hello Skinny, BCUC, Ill Considered, and many more.